I'm sure most of you have heard of Cratsy, but if you haven't you MUST check it out! I SOOOOO wish this was around a few years ago when I was clumsily teaching myself how to sew through blogs and tutorials! You can take classes on how to make quilts, bags, garments, etc. There are even non-sewing related classes like cake decorating, paper crafts, knitting, and crocheting! Classes are much less expensive (some are FREE!) than you can find at your local shop and you can take them in your pajamas! Anywho! 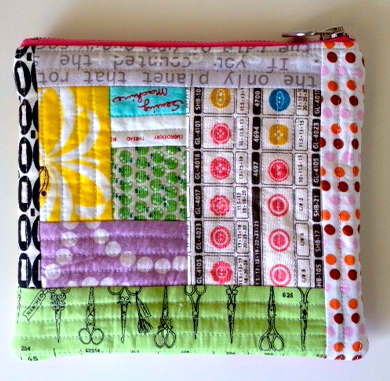 I got to try out Tara Rebman's new Quilt as You Go Patchwork Bag Class and now I'm giving away this pouch I made using her method along with her class to one (lucky!) person! 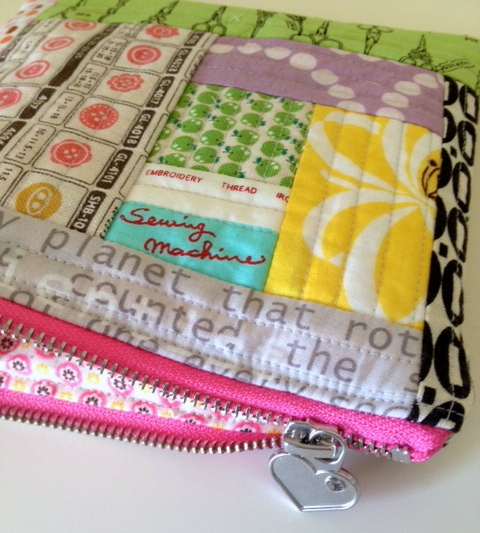 Tara's class is super easy to follow and is a great introduction to quilting and bag making at the same time! She is a fabulous instructor! If you have a Craftsy account already, just use your login information. If not, signing up for Craftsy is free! Only one entry per person and you have until Thursday, July 4th to enter! Thanks for the chance to win, the bags are so adorable, I'm going to have to check out those classes regardless! This looks a great class - thanks! What a cute bag! The class looks fantastic! Thanks for the chance to win. Love the little pouch you made and had the class saved to my wish list already. Love the bag she shows you how to make...cant wait. The bag is really cute - I'm ready to move on from the classic tote! Thanks for the chance; and that Tinker Tote is totally awesome! Thanks for the chance, the bags are cute. Oh yay!! I love that bag. Thank you for the chance to win.